It works in combination with your usual vacuum cleaner and it is recommended for cleaning ﬁreplaces, stoves and barbecues. 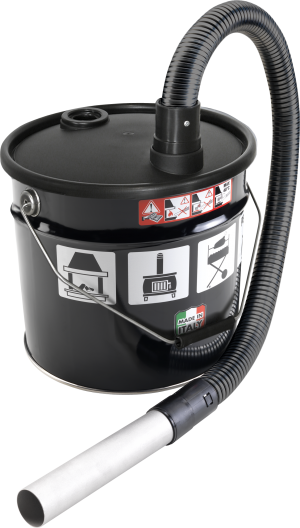 A special metal ﬁlter protects your vacuum cleaner against ash residuals. Capacious painted steel tank.